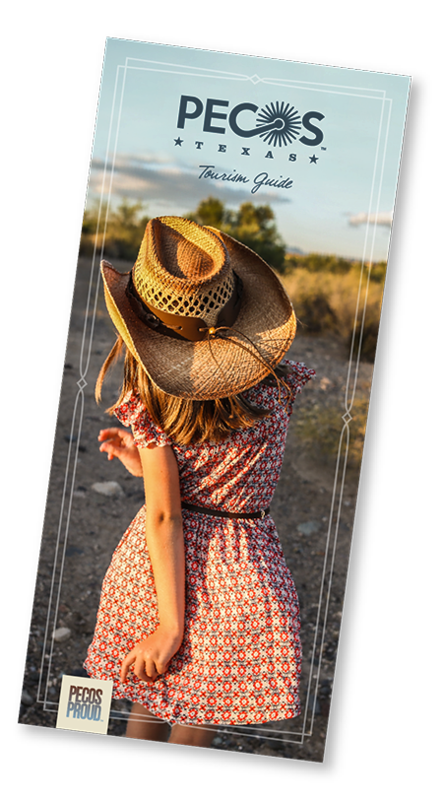 The story of Pecos dates back to around 1873; the famous Chisholm Trail, Goodnight-Loving Trail, and Butterfield Overland mail route all crossed right here. It wasn’t long before Pecos grew into a supply town for the many ranches within a 100-mile range. But when you get a bunch of cowboys together, some fights are bound to happen. Thanks to the “Law West of the Pecos,” things were kept in check, outside of a few gunfights (you can still see the bullet holes in the West of the Pecos Museum). 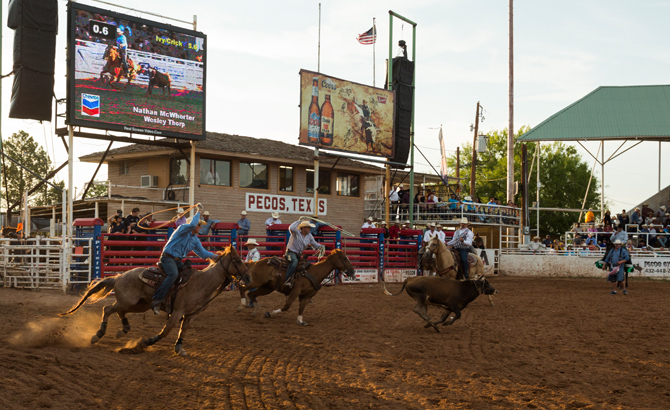 Then a more friendly competition sprung up, and on July 4, 1883, Pecos was home to the World’s First Rodeo. Braggin’ rights were on the line to find out who was the best cowhand in the West. And since it was a holiday, folks came from all over the area to see how their favorite cowboys would fare. This tradition continues each summer at the Buck Jackson Arena, where it has been held every year since 1936. Today it is one of the PRCA’s top 40 prize-money rodeos. Performances begin at 7 p.m. nightly. Check pecosrodeo.com for the events schedule and to buy tickets.